What Kind Of Door Is Right For My Home—Wood, Fiberglass, Vinyl, Steel, Or Other? I Want to Open Up My House To The Backyard – How Can I Do This? What Brands Of Door Do You Install? Why should I choose you instead of another company to install my doors? Does Experience Really Matter With Door Installation? Do my doors qualify for a tax credit? Can you install a door where I don’t have one now? Q: What Kind Of Door Is Right For My Home—Wood, Fiberglass, Steel, Or Other? A: It depends on your budget and what you’re looking for. For example, if your home calls for a truly authentic, elegant look, you may want to go with wood. But you also have to be aware that wood doors require more maintenance than other types. Alternatively, fiberglass can mimic the appearance of wood, but without the maintenance hassles. 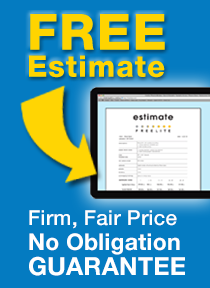 Once you schedule your free estimate, we can help you decide on the best solution for your home. Q: I Want to Open Up My House To The Backyard – How Can I Do This? A: The two types of doors to consider are Multi-sliding, where several panels stack side-by-side behind one fixed panel (or in a wall pocket), and Folding, where the panels compress at one end like an accordion. Both these configurations create wide clear openings, allowing interior space to overflow seamlessly out onto a patio or garden. Check our Photo Gallery to see examples of these types of doors. Q: What Brands Of Door Do You Install? A: A few of the brands we install include THERMA-TRU, PELLA, MARVIN, WOODGRAIN, SIMPSON and ECO ADVANTAGE. We offer a variety of options, so you can get exactly what you’re looking for—no matter your needs or budget. We’ll happily assist you in picking the right product for your situation. Q: Why should I choose you instead of another company to install my doors? 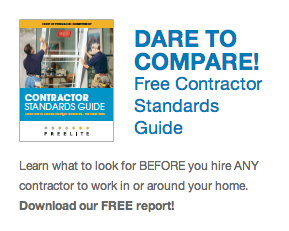 A: We have the workmanship and skills other home-improvement companies can’t match. Unlike most companies that hire subcontractors to install their products, our installers are on our payroll and are the most thorough, organized, and professional in the business. There’s a reason we have “A” ratings with the BBB and Angie’s List. Q: Does Experience Really Matter With Door Installation? A: Yes, it does. Your door is one of the first things people notice about your property. It sets the tone for the rest of your home. A poorly installed door can be seen from the curb and will definitely affect the overall impression your guests have about your home. Installation can also affect energy efficiency—a door needs to close snugly against all weather-stripping and have no gaps. We strictly adhere to manufacturer installation recommendations. Every door we install is properly installed for maximum curb appeal and energy efficiency. Q: Do my doors qualify for a tax credit? Q: Can you install a door where I don’t have one now? A: Absolutely! We can cut a new opening into any type of wall – frame or masonry – and handle all the related trades (electrical, stucco, drywall, etc.). Frequently, we’re called on to convert windows to doors as well. 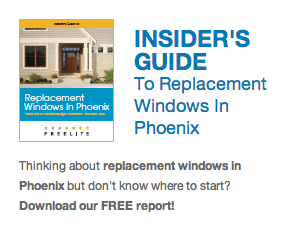 Our skilled installers are equipped to handle almost any type of window or door project.